Shahin Negari was born in September 1969 in a family of six (father, mother and four sons) in Mashhad. He is the second son, and his younger brothers Shermin and Shayan, like Shahin, are graduates of the Baha’i Institute for Higher Education (BIHE), who have migrated to Canada to continue their education. After the Iranian Cultural Revolution of 1980-82, under orders from the command headquarters of the Cultural Revolution – which changed its name to the Cultural Revolution Council in November 1984 – all Baha’i professors and students were terminated from universities and other institutions of higher education. The nationwide university entrance examination and university employment forms were changed to require adherence to Islam or one of the three official religious minorities, Christianity, Jedaism, and Zoroastrianism, designated in the country’s Constitution. Under these new criteria, the presence of Baha’is as students was abolished in all universities. The need for Baha’i youth to continue their education after high school, due to education being a fundamental principle of the Baha’i Faith, the administrative council of the Baha’is of Iran embarked on an effort to provide university level education in a limited number of fields of study, exclusively for young Baha’is barred from university, with the help of the Baha’i professors and instructors who had been fired from universities and schools. The Iranian Baha’i community, in order to organize and encourage young people to continue their education, undertook these actions under the name of the Baha’i Institute for Higher Education. In the early years, teaching staff consisted of ten Baha’i teachers who had been fired, but after a few years, a number of BIHE graduates joined the teaching staff. The arrest of the leaders of the Iranian Baha’i community was a result of the expansion of BIHE’s available fields of study and the acceptance of degrees of graduates of this Institute by reputable universities worldwide. These two factors were what led to the search of the homes of many professors and students of BIHE on 22 May 2011, and the arrest and detention of a number of them, who received heavy sentences. 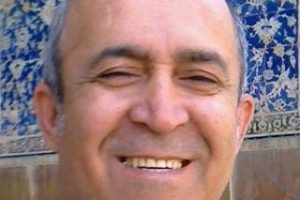 Shahin Negari is a graduate of BIHE who is serving a prison sentence in Raja’i Shahr prison in Karaj, charged with teaching Baha’i youth. Shahin Negari, like the majority of Iranian Baha’i youth, got a job after high school due to the impossibility of continuing his education at a university. For several years he worked in a lathe workshop in Mashhad, until he went to Tehran to study at BIHE. Many of Shahin’s classmates, who were aware of his capacity and good grades, were amazed and sorry that he was forced to work at a lathe factory as a clerk instead of continuing his education. According to his family, Shahin had always been looking for an opportunity to continue his education. Finally in the early 1990s he was accepted as a student to BIHE; he successfully received his Bachelor’s Degree in Pharmaceutical Sciences in 1999. Shahin, like many young people in Iran, wanted to continue to study or work in the field of his specialty in his country, but Shahin’s Bachelor’s degree from BIHE was not recognized by the government of Iran. Over the years that he was studying, he was also working in a mold-making workshop in Tehran, he decided to save his money, to obtain a student visa and to travel to a foreign country in order to continue his education. In those years, a number of Canadian universities accepted the BIHE degrees of a number of Baha’i graduates. After several years of correspondence with a number of universities, Shahin finally succeeded in obtaining admission to the University of Ottawa in Ontario, Canada. In the summer of 1999 he arrived in Canada and began his studies. 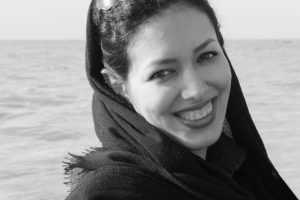 In 2003 Shahin Negari received a master’s degree in the field of immunology and microbiology at the University of Ottawa and promptly returned to Iran, in the summer of that same year, to work. After his arrival in Iran, he started working at BIHE as a professor of Baha’i students. From 2006-2008 he managed the science department of the Institute, and up to the point when he was arrested, he taught immunology and virology to Baha’i students. He was also hired by the Central Laboratory of Pathobiology, and as part of his work was engaged in the field of clinical microbiology. 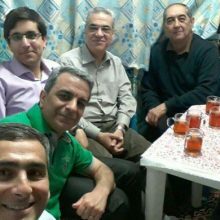 Due to his in-depth research in the field of microbiology while he was employed at the Central laboratory, Shahin Negari also participated in various medical conferences in Iran for the exchange of ideas and findings with his colleagues about scientific research. He also conducted workshops to introduce techniques for testing cancer cells in most of Iran’s universities. On behalf of a foreign company, he, in a short timeframe, arranged workshops to introduce new techniques for testing cancer cells. On 22 May 2011, Ministry of Intelligence officers stormed the homes of dozens of Baha’is affiliated with BIHE in Tehran and other cities. On the same day, 16 people, including administrators, professors and students of the Institute were arrested; Shahin Negari was among those arrested. After 40 days in solitary confinement, he was released on bail on 28 June. 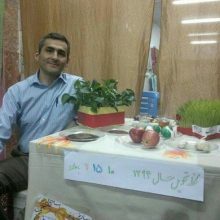 A few months after his release, Shahin Negari was tried on charges of “acting against national security through membership in the misguided Baha’i sect and cooperation with the BIHE” at the Branch 28 of the Tehran Islamic Revolutionary Court, headed by Judge Moghiseh, and was sentenced to four years in prison. His preliminary sentence was upheld by an appeals court. On 13 January 2013, law enforcement officers went to Shahin’s home and arrested him to fulfill his prison sentence. 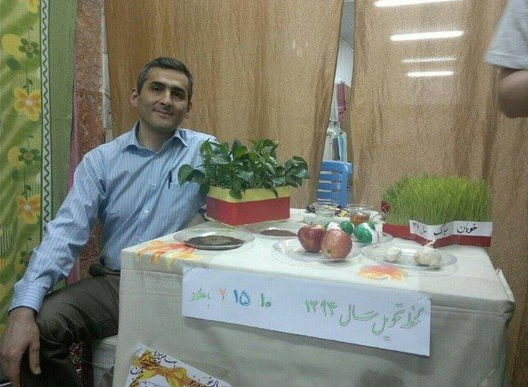 After 24 hours of detention in Evin Prison, he was transferred to Raja’i Shahr prison in Karaj. 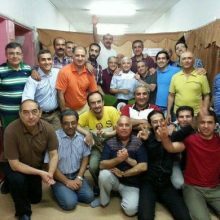 Shahin Negari has been in prison for forty months in Raja’i Shahr prison with no furlough, because of charges of teaching Baha’i students who had been prevented from continuing their education. Shahin has two children, ten and eight years old.